We are excited to welcome Chapterhouse Theatre Company and their open air production of The Secret Garden to Wild Place! Raising funds for our worldwide conservation projects, this fantastic open-air performance will take place in our unique grounds, just a stones-throw away from our amazing animals. Once you’ve explored the park, pitch up with your blanket and settle in for the discovery of The Secret Garden. This summer, join young Mary Lennox on a journey of discovery as she is sent to her uncle’s house in the countryside, where mysteries and secrets lurk round every corner... As she makes new friends and encounters magical creatures, Mary has one burning question: where is the location of her uncle’s secret garden and where has he hidden the key? Free entry to Wild Place Project on Sunday 23rd June from 3pm. 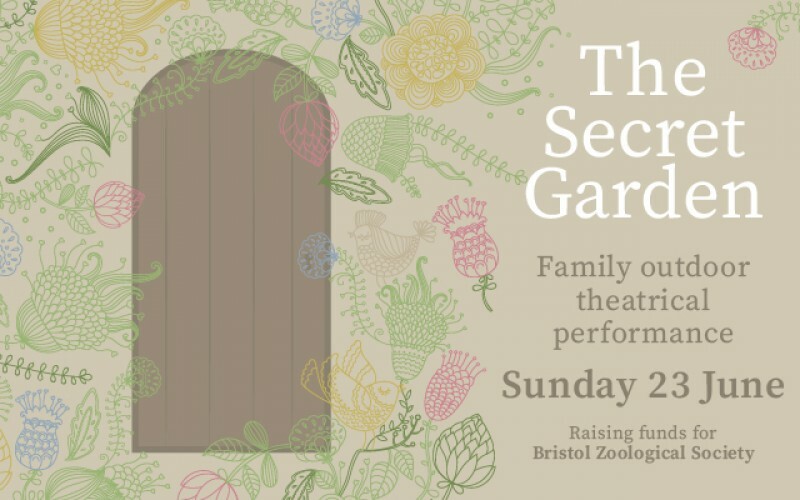 The Secret Garden performance 4pm onwards. Tickets are strictly limited – advance booking is essential. Your ticket includes entry to Wild Place Project on Sunday 23rd June from 3pm. The performance will begin at 4pm, please arrive at least 15 minutes before to settle in. All money raised from these events will be spent supporting Bristol Zoological Society’s charitable objectives.